The – dare we say – best networking event around for nonprofit specialists is coming up soon, and you won’t want to miss it! 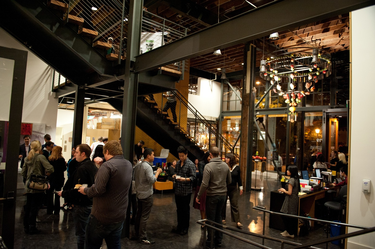 This year’s Directory Networking Party will be held at the beautiful, historic, and vibrant Wing Luke Museum on Tuesday, April 3 from 5:00 to 7:00 p.m.
Join your colleagues in the Nonprofit Resource Directory and beyond at our annual celebration of those – like you – who serve the sector. This private event is a simple and fun way to meet fellow specialists, grow your professional network, and enjoy delicious food and drinks…all for free! We encourage you to invite colleagues who may be interested in joining the Nonprofit Resource Directory. Today, 110+ approved specialists can be found by nonprofits through 501 Commons’ direct referrals and online searches. For additional valuable exposure, become a sponsor. Not only will you support this celebration and the Information & Referral Program, you’ll also enjoy excellent promotional benefits. Our thanks again to sponsors of the 2017 Directory Networking Party: Beneficial State Bank, Foster Pepper PLLC, Fox & Company, Non Profit Insurance Program, Pacific Continental Bank, and Third Sector Company. Please email Scott Hayman at scott@501commons.org to learn more about sponsorship. RSVP to the party by Sunday, April 1 – no foolin’ – and we'll see you there! Do you have a great idea or message that you’d like to share with nonprofits across the state? The 2018 Washington State Nonprofit Conference is now accepting proposals for workshops at their annual gathering of 700+ nonprofit leaders. Additionally, workshop proposals should follow relevant themes, such as networking, measuring impact, technology, advocacy, leadership, talent management, cross-generational collaboration, and nonprofit fundamentals. Proposals are due on Tuesday, February 13. The conference will be on Wednesday, May 16 at the Meydenbauer Center in Bellevue. Another opportunity is to become a workshop presenter for the Sanford Institute of Philanthropy at City University of Seattle. City U offers free fundraising-focused workshops in Seattle, Everett, and Renton. Each workshop is two hours long, with a small honorarium given to presenters. Suggested topics include trends in philanthropy, making compelling presentations, board development, analytics, marketing, social media, websites, prospect research, and donor cultivation. Contact Libbie Stellas at lstellas@cityu.edu if you are interested. Visitors to 501 Commons’ website – including the most-popular “Resources” section (i.e., Nonprofit Resource Directory) – come from across the United States and from countries other than the US, including as close as Canada and as far away as India. To recognize that the tools, best practices, and – of course – consultant profiles have relevance well beyond the State of Washington, we have decided to drop “Statewide” from the directory name. Most of you listed in the Resource Directory provide services beyond Washington State, so we hope this will be helpful to you as well. The place with our highest number of website visitors is, of course, Washington State. So even with a Resource Directory name and logo change, we expect demand for information and referrals from within the state to remain strong and even grow. The new Nonprofit Resource Directory logo is unveiled in this newsletter and on our website. Plus, keep an eye out for a re-designed “approved specialist” seal that you can use to let others know you’re in the Nonprofit Resource Directory. Welcome new Resource Directory specialist! We’d like to welcome the following company that – after review and reference checks – has been added to our referral network since the last issue. JKP Fundraising LLC – James Phelps serves nonprofits of all sizes, providing development audits and planning, database selection and conversion, and interim development director services. He also trains on topics ranging from Fundraising 101 to major and planned gifts. James is a recognized Advanced Certified Fundraising Executive (ACFRE), which signals that he possesses an advanced level mastery of fundraising leadership, management, ethics, and professional standards. We’d like to thank everyone who donated to 501 Commons last year, through our fall campaign or GiveBIG. We appreciate your financial support of our vital mission of helping nonprofits thrive and be a greater force for good. Your philanthropy enabled 501 Commons to deliver 1,200 services to over 700 organizations, including more than 400 information and referral queries. Plus, our training and leadership development programs had 950 participants. 501 Commons' board of directors and staff are grateful to you for your contributions of time, talent, and treasure. You are invited to “Train the Trainer,” a 3-part series hosted by Washington Nonprofits that is designed to help nonprofit consultants strengthen their teaching practices. Taught by adult learning experts, this is an opportunity to hone your skills, discuss tips and tools for increasing engagement, and finding out how to know if you’ve made a difference. You can sign up for an individual session or all three. Come away with greater knowledge and skill, feel more confident as a trainer of nonprofit leaders, and join a supportive cohort of people committed to perfecting the art of teaching and learning. All sessions are at 12th Avenue Arts/Capitol Hill Housing (Pike/Pine Room) at 1620 12th Ave, Suite 206, Seattle, WA 98122. Wednesday, April 4, 9:00 a.m. to 12:00 p.m.
Wednesday, May 2, 9:00 a.m. to 12:00 p.m.
Wednesday, May 30, 9:00 a.m. to 12:00 p.m. Learn more about each session. Cost is $95 per workshop or $280 for the whole series, if you are a Washington Nonprofits member, or $116 per workshop or $349 for the whole series, if you are not. Sector news: What’s on our radar? Just days before the New Year, the federal government passed the Tax Cuts and Jobs Act, which will have a significant impact on the nonprofit sector. One of the predicted impacts is that donors may cut back on their giving because the higher standard deduction, provided in the law, may mean that they will not get additional tax savings from their contributions to nonprofits. 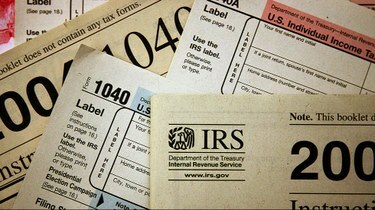 Every solicitation will, therefore, need to be clear in communicating the reasons for giving, since that tax-deduction incentive may no longer apply. You can watch the National Council of Nonprofits’ helpful webinar about the law on YouTube. We highly recommend you follow the National Council of Nonprofits on Twitter at @NatlCouncilNPs to receive updates on further developments from a national perspective. For more locally-based policy updates, please subscribe to Washington Nonprofits’ Policy Action Alerts and Updates to receive regular emails about what's happening at the state and federal levels that directly affects nonprofits. Executive Director Forum - EDs, CEOs, Presidents, Managing/Artistic Directors, etc. We're excited to share with you our new promo video produced by 6162 Productions, a Resource Directory partner that specializes in helping nonprofits tell their story. From pre-production to our long day of filming to the post-production process, 6162 Productions approached this project with creativity, empathy, and open-mindedness. Kudos go out to Michael Sharon and his crew for getting this done as smoothly as they did. The next free Puget Sound Consultants Coffee will be on Tuesday, March 20, 2018. Held every other month and organized by Resource Directory specialist Kris McRea (McRea Consulting), consultants gather for networking, collaborative conversations, partnership talks, and discussions about industry trends to build community among peers and better serve clients. Consultants who serve mission-based organizations of any size are welcome. The March 2018 gathering will be held at Washington Nonprofits' office in Seattle. RSVP today.